According to the latest statistics provided by W3Techs.com, Google Analytics is used by 86% of all the websites whose traffic analysis tool we can discover. This makes up 57.4% of all websites. Sounds impressive, right? However, there are still many businesses which don’t want to or simply can’t afford to settle for the so-called market standard. You feel uneasy sharing your data with anyone else – you don’t want to disclose information about your clients to other companies, or you are not legally allowed to do so. You want to have more than one analytics tool at your disposal – you want to check if there are any discrepancies between reporting in Google Analytics and other platforms. You are seeking features that GA doesn’t have – after all, every organization has its own unique needs. You want to take advantage of a set of marketing tools and receive premium-level support for each and every one of them. Another reason could be related to GDPR. After all, the new data privacy law obligates you to do business only with the partners who also comply with the regulation. Otherwise, you expose yourself to severe fines – we’re sure you’ve heard of them many times before. 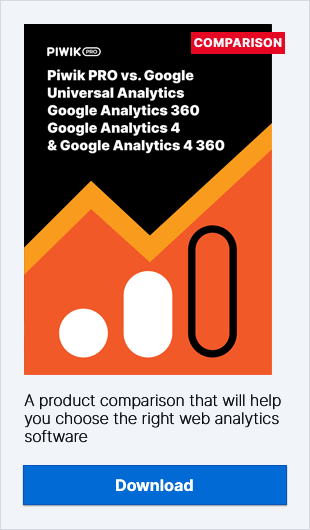 Unfortunately, Google Analytics doesn’t necessarily match the description. Why? It seems like the strategy adopted by Google Analytics towards GDPR is to get rid of all the information that can be classified as personal data and oblige you to anonymize every piece of information you collect using their tool. You might be okay with that, maybe you’re not interested in processing any kind of personal data anyway. But what you have to know is that there’s one catch. Although all your data will be anonymized, you can’t escape the fact that GA stores a visitor online identifier in a cookie which is considered as personal data under GDPR. It means that you still need to collect valid consents from your visitors in order to process their data. And you’ll have to do this entirely on your own since Google doesn’t provide a tool that would help you with the task. So, if you’re really interested in anonymizing your data in an efficient and privacy-friendly way, you might consider an alternative, that prioritizes privacy and data security, such as Piwik PRO. Piwik PRO guarantees you full data ownership, which gives you control, access and transparency of data. But, what’s more important, with Piwik PRO you can store your customers’ data on servers located with the EU or on your own infrastructure. You don’t have such a choice when it comes to Google Analytics, which is only cloud based, are where data can be stored randomly in data centers across the US, EU or Asia. GDPR compliance is another issues, where Piwik PRO outmatches Google Analytics. It provides all necessary features in an integrated package along with a consent management system. Piwik PRO Consent Manager allows you to collect visitor consents and assures that other parts of the platform collect solely data in alignment with those consents. And what if I don’t want to anonymize my data? Also, you have to remember that removing any traces of personal data is not the only option you have. What’s more, by doing so, you deprive yourself of valuable insights you can gain with more detailed information about your clients. Sometimes it’s worth going the extra mile to provide your users with enhanced levels of security and transparency, so they’re not scared to share their personal details with you. For that reason you may want to consider switching to a tool that will allow you to collect personal data from your clients, but process and store it in such way that it won’t impose any threat on your company, GDPR-wise. In that case, one of the most useful additions to your web analytics stack would be GDPR Consent Manager. If you’re not familiar with the term, be sure to read more about it here. Fortunately, there are many analytics platforms available on the market that make a great alternative to GA. One of them is Piwik PRO. Let’s have a look at what you can expect from both vendors when it comes to the most important features. Other aspects that need to be analyzed are the data processing and openness options. These might not seem important at first, but the more you do with your data, the more important they become. Especially having the ability to freely access, import and export any type of analytics data. 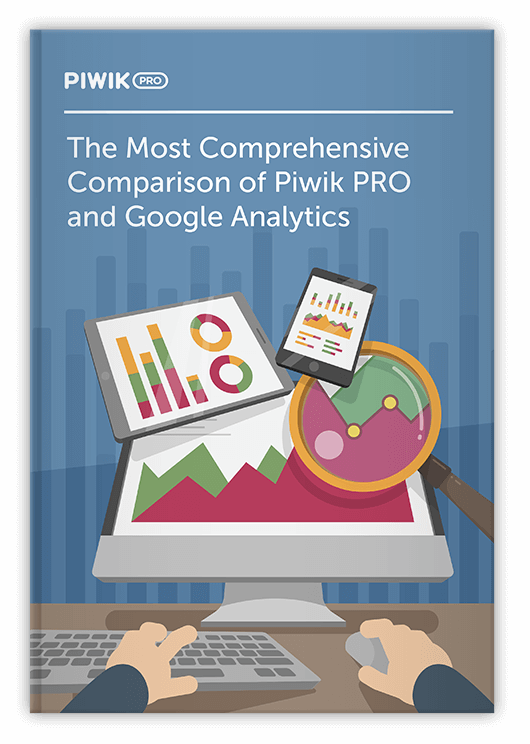 When it comes to data connectivity, there are some differences between Piwik PRO and Google Analytics, but both vendors have much more in common. The biggest difference related to the ability to access raw data any time you want through a SQL port. Here Piwik PRO has the upper hand. Still, it’s worth noting that both products have a few API-related features. You can take advantage of a reporting API to extract aggregate report data or apply the API to enrich your reports. But Piwik PRO again allows you to do more, as you can stream API of user-centric information. Both vendors also provide you the option to have use connectors to popular BI and data visualization software to improve and speed up your reporting. Google Analytics has established a dominant market position and helped many organizations enhance their online presence. However, there are many reasons why you might prefer a different platform. In this blog post we address four of the most important issues with GA.
Google is one of the companies deeply affected by the “Great Firewall” – Chinese internet law. As a result, Google Analytics is no longer allowed to operate in China. While it’s true that Google Analytics is used in a clandestine way in China, organizations deploying this tool encounter a range problems like data loss and latency. To tackle this challenge, you first need to be aware that there are better solutions than Google Analytics for use in China. Read on to learn about them.